Our Contract (Order) The information we seek from you when placing an order is for billing and delivery purposes only or for contacting you if we have a query. When placing an order to purchase goods from Cork Farm Equestrian you will be sent an email confirming receipt of the order. A contract between you and Cork Farm Equestrian will only take place once the order has been accepted & processed. Jurisdiction These terms and conditions are governed in accordance with the laws of England & Wales. You agree, as do we, to submit to the non-exclusive jurisdiction of the English courts. Pricing All products offered for sale by Cork Farm Equestrian are priced in Pounds Sterling (GBP) & include UK VAT at the prevailing rate where applicable. For Overseas shipments - any customs or import duties due when your package reaches its destination country will be your responsibility. Occasionally, despite our best endeavours some products may display an incorrect price. If the correct price is lower than that promoted we will always charge you the lower amount, process a refund for the difference & send you the product. If the correct price is higher, we will either contact you to advise you & request payment before dispatch or cancel the order, process a full refund & notify you accordingly. Delivery We will contact you at various stages throughout the dispatch process by email to advise you on the status of your order. If your order is overdue please contact us for an update. Most items are delivered Monday to Friday unless a Saturday delivery has been specifically requested. If you need an item urgently or by a certain date we request that you contact us prior to purchase to check stock levels & for confirmation of any additional associated costs. When your parcel arrives at your delivery address a signature may be required to acknowledge receipt. Please note that we cannot request for couriers to leave items without a signature or the insurance on the parcel becomes invalid. Cork Farm Equestrian use a variety of delivery servies. Should you require your item to be sent with a specific delivery company please contact us prior to purchase. Highlands, Islands & Remote areas: Small items will be sent with Royal Mail. For larger items or high value items a courier delivery is used. The following addresses are classed as Highlands, Islands & Remote areas: Isle of Wight, Isle of Mann, Channel Islands, Northern Scotland, Scottish Highlands & Northern Ireland. International Delivery: Small items will be sent with Royal Mail. For larger items or high value items a courier delivery is used. Please note that for buyers outside of the UK the International Delivery Agent may contact you to settle fees levied by your countries customs office. These fees may vary & there is no possible way for us to calculate these before the item reaches your country. These fees are payable directly to your local customs office & it is your responsibility to settle them. We do NOT in any circumstances cover these costs. For orders outside of the EU please note that we do not refund VAT in conjunction with our very low or Free delivery options. Our delivery costings already take into account the VAT element & these funds are used to cover the cost of your delivery. Should you wish for the VAT to be removed from your purchase this is possible but we would need to invoice seperately for the actual cost of delivery. Availability We try to keep the stock displayed as accurate as possible however owing to several different sales platforms occasionally an item showing in stock may have recently gone out of stock. If this is the case we will inform you immediately with an expected delivery date. All delivery dates are estimates & are subject to availability. Should one or more items in the same order be out of stock the entire order will be held until the whole order is ready. If you would like in stock items to be sent before the entire order is ready an additional postage payment may be required. Special Order Items All items ordered specially, such as those ordered specifically for you, sourced outside our usual stock, those with personalisation or custom made body protectors (538-0028) are non-returnable. You will be notified if your order is classed as one of these items at the point of purchase. Cancellation must be made within 48 hours of placing the order & this MUST be done by telephone on 01233 740817 or email at info@corkfarmequestrian.co.uk. Until you have received an email from us confirming your cancellation the order is still considered as active. Once the 48 hour cancellation window has passed your item will be specially ordered from the manufacturer & cancellation, refund or exchange is not possible for any reason. Payment PAYPAL - The fastest way to pay for immediate dispatch (stock dependant). We also accept major credit and debit cards via Paypal. We accept online payments through the Paypal secure environment & transactions are shown in Pounds Sterling. Do not email your card details to us. No responsibility can be taken for security if you provide your details in this way. Card fraud is illegal and will always lead to prosecution. We do not store credit card details nor do we share customer details with any third parties. Offers & Promotions Please note that when participating in our offers or promotions, they cannot be used in conjunction with any other offers or promotions. Multi-buy promotions including buy one get one free and 3 for 2 offers will only apply to the items stated and must be purchased within one transaction. Offers may only be available for certain sizes or colours so please check with us that the size & colour you require is included in a promotion before placing your order. Some promotions are dependent on stock levels & are only offered on a certain amount of stock. In these circumstances stock will be allocated on a first come first served basis & should the stock run out the promotion will end. Any monies will be refunded in full should this happen or you will be offered an alternative item or the same item at the usual price. Free Postage applies to UK Mainland Standard Delivery & any qualifying worldwide orders. Cork Farm Equestrian reserve the right to amend or withdraw promotions at any time without explanation, should circumstances change. Price Match Guarantee How does Cork Farm Equestrian Price-Match Guarantee work? If you find a lower price from any equestrian retailer on a new identical item, simply provide verifiable proof of the lower price and we do our best to match it at the time of making your purchase. Cork Farm Equestrian does not price match on sale, clearance or past seasonal items where discounts have been applied by other companies, or on delivery charges. Cork Farm Equestrian will not price match on items found on auction sites such as Ebay or Amazon. 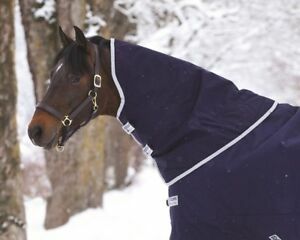 Price match purchases must be made by email to info@corkfarmequestrian.co.uk. Cork Farm Equestrian reserves the right to withdraw the price match offer without explanation should the verification be unsatisfactory or unreasonable. Which items does Cork Farm Equestrian Price Match? Almost everything we sell. The item must be identical, including model number, size & colour. The item must be in stock and available to purchase at that price from another equestrian retailer & we reserve the right to verify. We do not price match some personalised or special order items. Exchanges, Returns & Cancellations We are happy to accept Returns & Exchanges received within 30 calendar days (14 calendar days for sale items). Returns accepted from UK customers only in Brand New, Unused, Unmarked condition complete with original packaging. Due to Health & Safety Guidelines once your item has been in contact with a horse it cannot be returned. Please use a clean tea towel or similar between the horse & the item if an item is to be tried on. If your item is recevied back in an unsatisfactory condition or has been in contact with a horse we reserve the right to send it back to you at your cost or charge a restoking fee. If an item has been specially made for you or ordered in for you it cannot be returned unless faulty. Return postage costs & the safe return of items are the sole responsibility of the buyer. We ask that items are returned using a trackable recorded service requiring a signature plus the correct amount of insurance covering the item. We cannot be held responsible for items being returned if they are damaged in transit on the way back to us or if we do not receive your item. If your item was offered with free shipping the actual cost of shipping the item to you could be deducted from any refund. For exchanges there will be an additional postage payment levied for the shipping of your new exchanged item even if your initial was offered with free shipping included in the price. Please note the following cannot be returned or exchanged unless faulty: Personalised and Special order items, DVD's, CD's, Videos, Underwear, Riding Helmets and Computer software. Personalised and Special order items cannot be cancelled once the order has been processed. If you wish to return an item please contact us. Please include your contact information & the reason for your return in the parcel. Returns Department Cork Farm Equestrian The Lodge Biggin Farm Faversham Road Challock Kent TN25 4BG Fair Wear & Tear Guarantee Products are supplied with a manufacturers guarantee/warranty starting from the date of receipt. The term of the guarantee/warranty will vary depending on the manufacturer & range from 6-36 months providing products are used in accordance with the manufacturers recommendations. Should you be dissatisfied with your item we require photographic evidence & in some cases goods will be returned to the manufacturer for inspection. Please allow up to 60 days for an exchange or refund. This is in addition to your statutory rights. Hygiene Regulations Due to the Health and Safety regulations and the hygienic problems involved with the inspection of Footwear and Horse Clothing, we are unable to handle and inspect any item unless it is clean and dry (Health and Safety at Work Act 1974). Please note: For Hygiene reasons, Underwear is non-returnable. Customs Goods ordered from Cork Farm Equestrian for delivery outside the UK may be subject to import duties and taxes which will be levied once the parcel reaches its destination country. Any charges for customs must be paid by you, we have no control over these and do not know what they may be as customs policies vary from country to country. Contact your local customs officer for full details and regulations. WEEE Regulations The Waste Electrical and Electronic Equipment (WEEE) Directive is now UK law. The legislation aims to make producers pay for the collection, treatment and recovery of waste electrical equipment. The regulations also mean that suppliers of equipment like high street shops and internet retailers must allow consumers to return their waste equipment free of charge. The amount of WEEE we throw away is increasing by around 5% each year, making it the fastest growing waste stream in the UK. Much of the UK’s WEEE ends up in landfill, where the lead and other toxins it contains can cause soil and water contamination. This can have a harmful effect on natural habitat, wildlife and also human health. Many electrical items that we throw away can be repaired or recycled. Recycling items helps to save our natural finite resources and also reduces the environmental and health risks associated with sending electrical goods to landfill. Distributors of new Electric and Electronic Equipment (EEE) have a part to play in reducing the amount of WEEE going into landfill sites. Cork Farm Equestrian Ltd is obliged under these regulations to offer our customers free take-back of their WEEE on a like-for-like basis when they buy a new Electrical or Electronic product from us. Under the WEEE Regulations, all new electrical goods should now be marked with the crossed-out wheeled bin symbol shown below: Goods are marked with this symbol to show that they were produced after 13th August 2005, and should be disposed of separately from normal household waste so that they can be recycled. Liability The information contained within our listings is for information purposes. Cork Farm Equestrian is not providing any recommendations or endorsements to any product or services promoted. The material does not constitute advice and you should not use the information to make any decisions or take any action. 184 objets sont disponibles. Saisissez un chiffre inférieur ou égal à 184. Le paiement immédiat de 58,95 GBP est obligatoire. Please note the eBay EDD on your order BEFORE Purchase. Please contact us BEFORE purchase on 01233 740817 if your order is urgent. EXPRESS, UK & FREE SHIPPING APPLY TO ENGLAND & WALES ONLY. Please allow extra time for items to arrive to the following & for larger items surcharges may apply to the Isle of Wight, Isle of Mann, Channel Islands, Northern Scotland, Scottish Highlands & Northern Ireland - AB31-56, BT, GU, IM, IV, JE, KW, PH4-50, HS, KA27-28, PA20-78, PO30-41, TR21-25, ZE.